Are you new to real estate sales? Or, are you thinking about getting your feet wet in the housing industry’s most rewarding career? Then keep reading to watch out for three pitfalls that can derail your profits in this hot industry. I have heard new agents time-and-time again say they do not understand the need to network with other agents since those agents are their competition. But anyone experienced in business, and really relationships, understands the value of keeping your friends close but your enemies closer. Now that is not to say other agents are your enemies but in some respects, they are your competition (i.e. if you are both vying for a particular listing, etc. ), which connotes an adversarial relationship. Networking with other agents will save you as a newbie some of the bumps and bruises those experienced agents got as they have developed burgeoning real estate careers. Furthermore, top producers that have yet to build a team can be a vital source of referral business. Their client referrals can be a gateway for you to begin selling in a particular hoity-toity subdivision or at an exclusive price point. The agents that I coach have testimonies of this and so do I. When I started in real estate sales (after having been an investor), the year was 2008 - yup just when the “The Great Recession” was ensuing. I networked with other agents and my first year of closings were due to the referrals from other agents I received. From their referrals, I began receiving client referrals and the next thing I knew, I had referrals coming left and right to the point that I closed personally over 35 transactions in 2009 (also with the help of my social media marketing and blogging but of course) and started to build my own team! It all started with understanding the power of developing relationships with other real estate agents. Not asking for 5-Star reviews on popular real estate sites like Zillow, Trulia, etc. I love training real estate agents but especially new agents because there are many basic, free things they can do to grow their sales. If you are a new agent, are you currently getting reviews on the popular real estate portals like Zillow, Trulia, Realtor.com, etc.? If your answer is, “no”, I want you to stop what you are doing and make this a priority. Why? Because we leave in a world that hinges upon public opinion and online reviews give you an opportunity to showcase why you should be someone’s agent of choice without you have to shamelessly promote yourself. Others do it for you. If you have ever decided to not purchase a product or visit a restaurant because of an online review, then you know what I mean. Why post reviews to real estate portals? Because those are the site where people that are looking to buy and sell homes go. You need to have your praises posted where they will see them. Plus, these sites do not charge (yet) for you to have a profile that features your 5-star reviews so you get free advertising and publicity on the real estate sites with the most traffic. Thirdly, online reviews can create for you a steady stream of leads from these sites without you paying for ad placement - another win! Lastly, notice the optimal phase her is 5-star review. You should of course seek to improve yourself and solicit candid reviews from all of your clients. But be sure that what goes online will be positive publicity for you by specifically soliciting reviews from clients that are excited about sharing their experience of you with others. As a new agent, you may be using some of the tried-and-true methods of marketing like sending out postcards and going door-knocking. Or, you may be a fancy blogger or internet marketer, with ads galore on Facebook. Regardless, your marketing materials all list your website address. You encounter curious potential buyers and sellers, who hop on their cell phones and tablets to check the “deets” on your site. Then they move on to another webpage or log off entirely. But wait, did your website collect their contact information? If you have not done any customizations to the website your realty firm or MLS gave you, then your answer is likely, “no”. This is a faux pas that IS costing you precious leads, diluting the effectiveness of your marketing, and ultimately wasting your advertising dollars. It is not enough to just have a remote contact form on your website. You have to mobilize people to leave their information by offering them something of value through a call to action (CTA). In your neck of the real estate woods, you can offer guides that explain a Shortlist of Being New to the Area, Best Schools, Hot Spots, How to Buy a Home and Sell Real Estate in _______ (name your targeted city/town), Top New Construction Builders and Develops, and the list goes on. In order for site visitors to get these complimentary downloads, they have to input their bona fide contact information - a win-win. Such a CTA will typically require customizations to your existing website or an altogether new website, which is worth it to know that the traffic you are driving to your site with ads, postcards, and other publicity is being effectively captured. If you really want to stretch your advertising dollar, you can also take this a step further and use retargeting. Retargeting allows your ads to follow site visitors around the web as they visit other webpages, keeping your business top of mind. Ideally, this will cause them to at some point re-visit your site and hopefully leave their information to receive your sites free offer, putting you on the path to actually creating a new client. 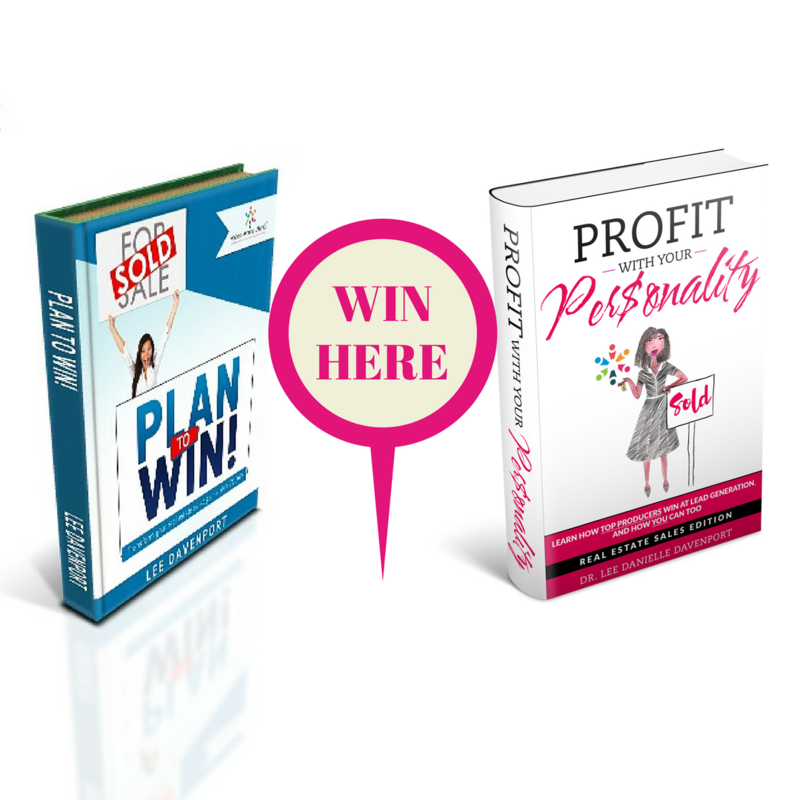 Beyond these 3 tips, you can further transform your real estate sales game plan with the interactive workbook, Plan to Win!, available on Amazon today and at a discount through the FMLS store. Follow me on Google Plus and Facebook. Here’s to your success!